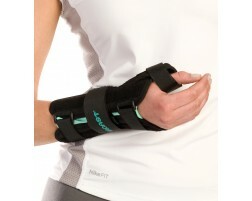 We offer an unconditional money back guarantee on every thumb brace we sell. Whether you need a light thumb brace for extra support during daily activities and thumbguard to stabilize an injured thumb, we have the perfect thumb brace for you. You can refine the selection of braces that appear by utilizing the "Narrow Your Results" on the left hand side of the page.